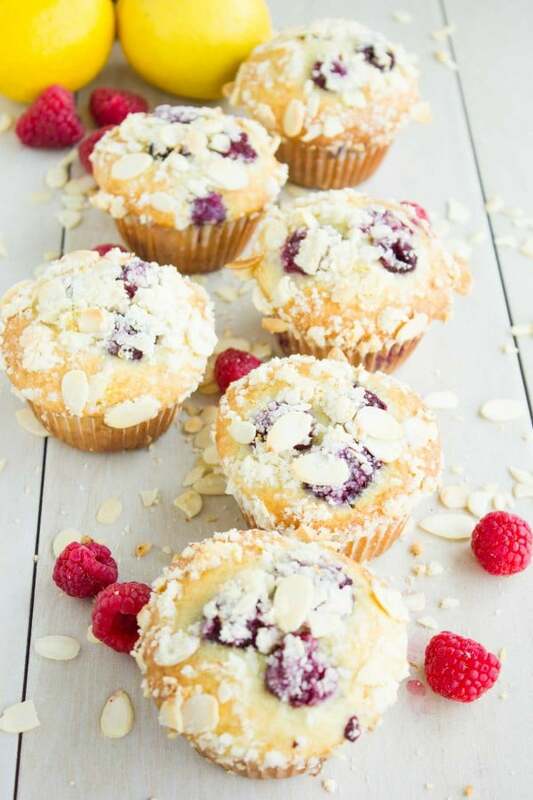 These fresh Lemon Raspberry Almond Crunch Muffins are light, zesty and crunchy! Picture a moist lemon muffin speckled with fresh raspberries, and topped with a sweet buttery almond crunch – a simple muffins recipe you have to try! There’s something about baking muffins that’s very soothing. Mostly because of how easy they come together with just a whisk and how fast they bake into a fluffy tender sweet treat that can be eaten any time of the day. 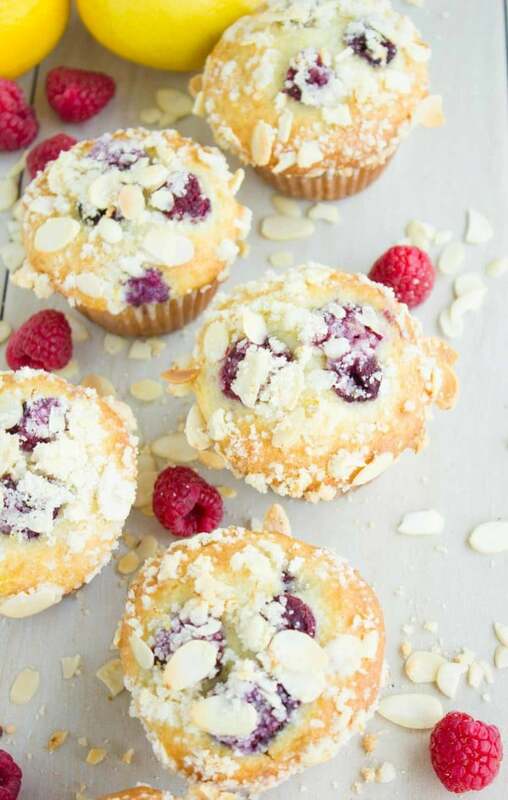 These Lemon Raspberry Muffins with Almond Crunch Topping are no exception. 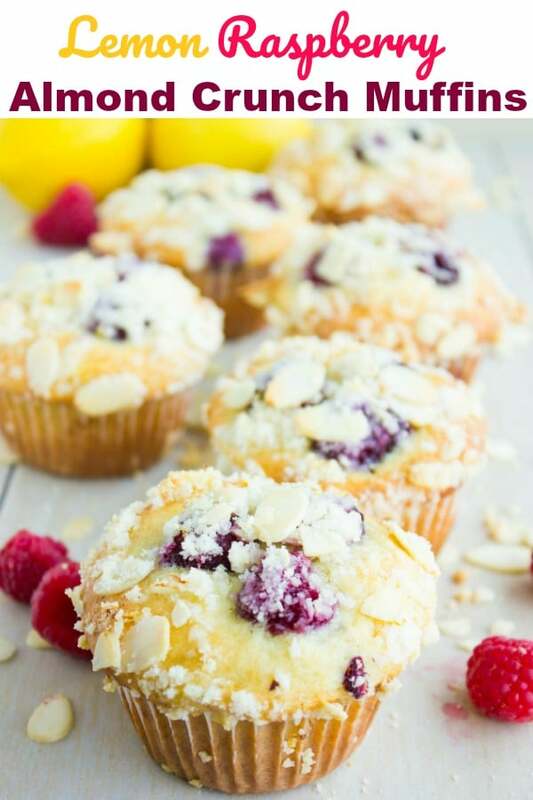 This fresh Lemon Raspberry Almond Crunch Muffins recipe is light, zesty and crunchy! When baked, the Almond Crunch Topping turns into a delicate crispy streusel, which contrasts the smooth tender muffins beautifully, and adds a sweet finish with almond flavor. The fresh raspberries when baked, soften up but don’t break down or lose their texture. Their flavor concentrates while baking and you will love the little fruity bursts you’ll get in these Lemon Raspberry Muffins. Lemon zest adds zing and contrast to these easy breakfast muffins. 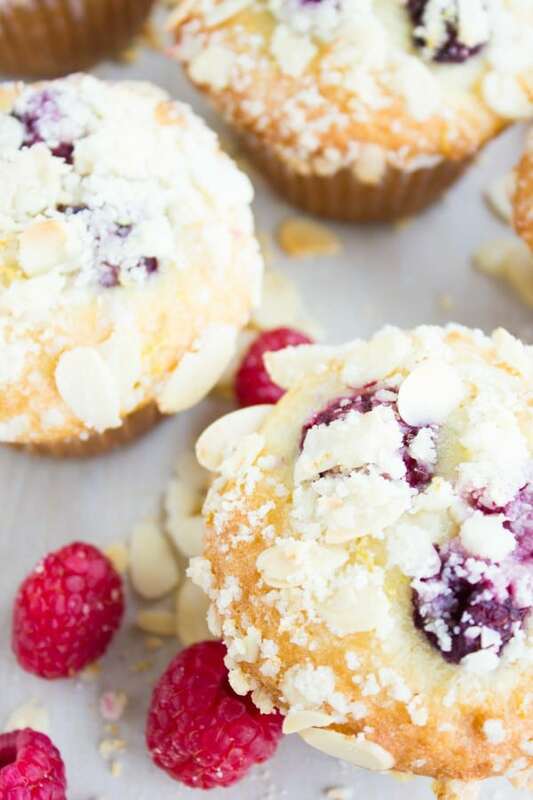 These Lemon Raspberry Muffins with Almond Crunch Topping are so easy to make, yet the result is stunning and will wow your guests at any brunch or breakfast event! 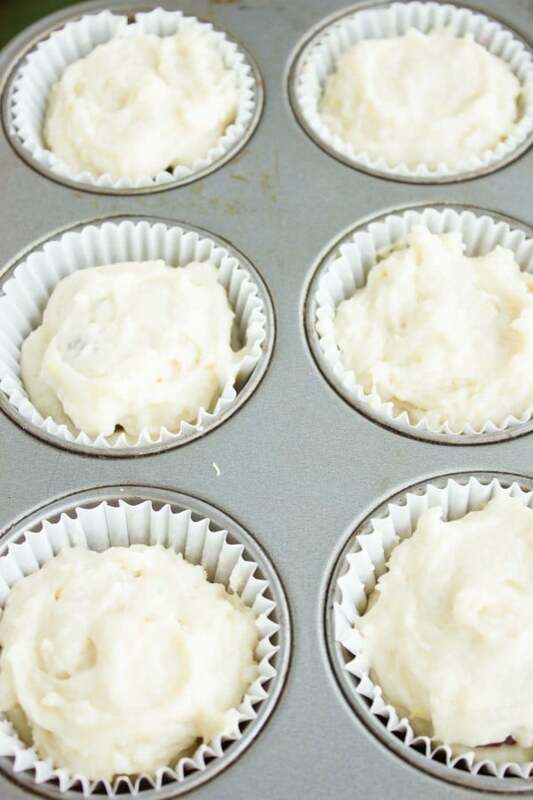 A couple of bowls and a whisk is all you need for these irresistibly fresh muffins. Take a medium bowl and mix the flour, baking powder, baking soda and salt in it. Use a separate bowl to mix the sugar, oil, egg, yogurt and lemon zest. Then, add in the flour mixture and fold it over until no more streaks of flour appear. 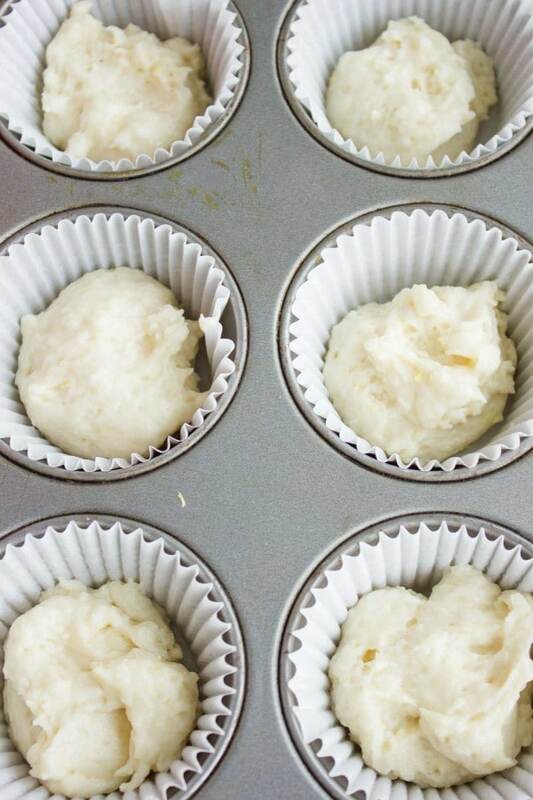 Scoop 2 tablespoons of batter on the bottom of each paper-lined (or oiled) muffin tin. Place about 3-4 raspberries on top of the batter…..
A couple more raspberries on top for good measure! 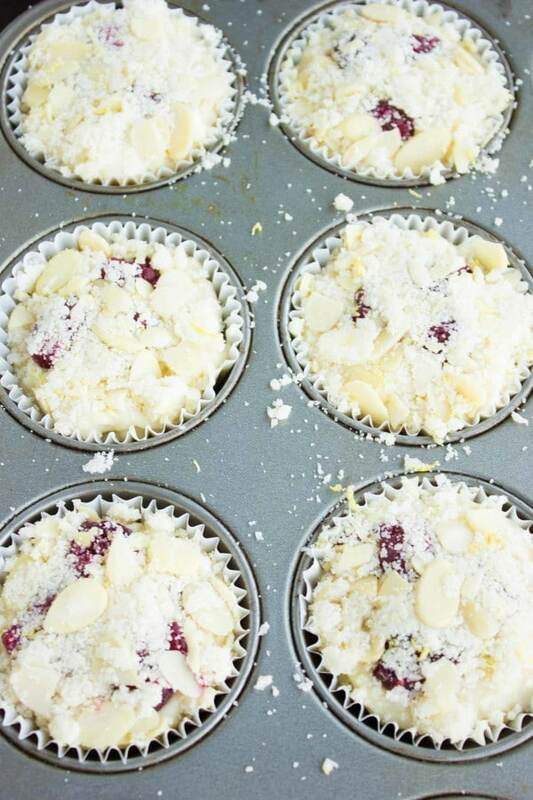 Now sprinkle the Almond Crunch Topping on top of your Lemon Raspberry Muffins! Press the Almond Crunch topping gently into the batter with your fingers to get them to stick to the batter. 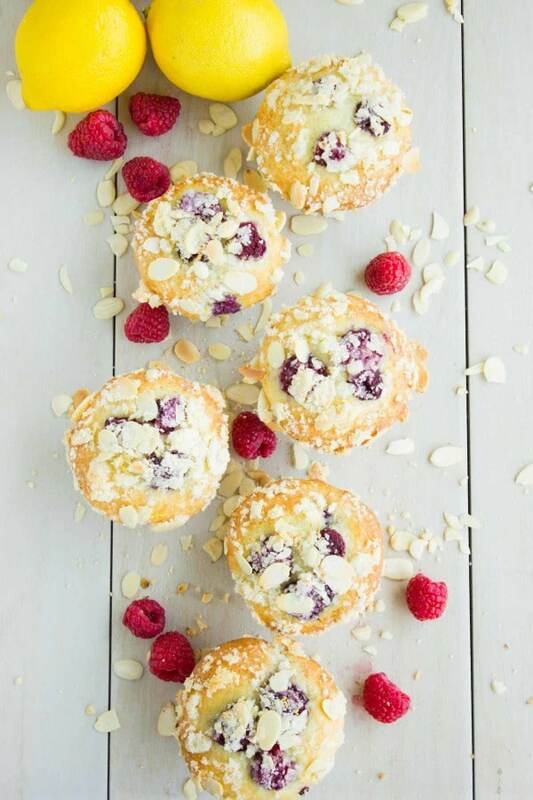 Bake the Lemon Raspberry Almond Crunch Muffins for 18-20 minutes. When baked, these lemon Raspberry Almond Crunch Muffins turn out fluffy, tender, airy and so lemony-fruity! 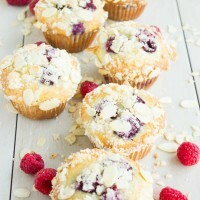 If you’re looking for a muffin recipe that shouts “Hello summer”—try this Lemon Raspberry Almond Crunch Muffins recipe. You will not regret it! 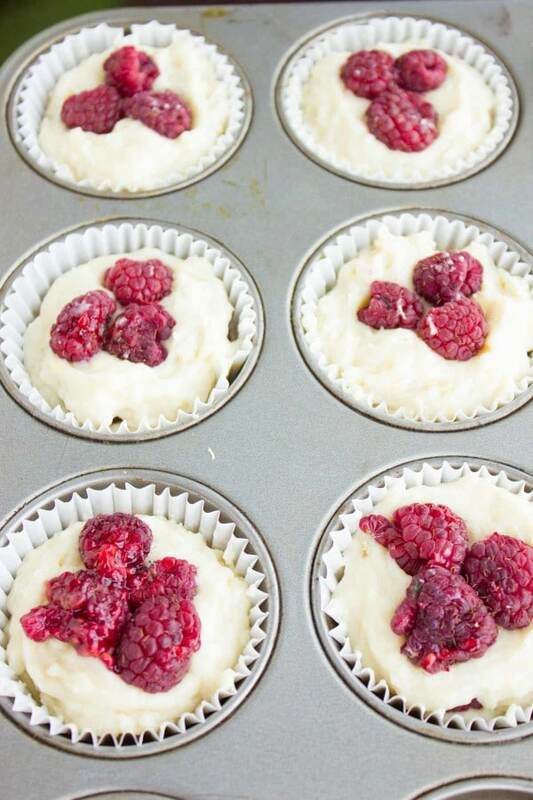 This recipe for Lemon Raspberry Muffins is easily doubled, halved or tripled. Lemon zest in this muffin recipe may be substituted with orange or left out altogether. I love the almonds in these Lemon Raspberry Muffins because they are not overpowering and leave room for the raspberry to shine, but if I would choose a second favorite, it would be pistachios—feel free to use any nut you prefer. The raspberries I’m using here are fresh, but frozen berries work just as well in these Lemon Raspberry Muffins as long as they’re not thawed. Cherries and blackberries are also great substitutes I’ve used in this simple muffin recipe—feel free to play around with berries or a combo of them. 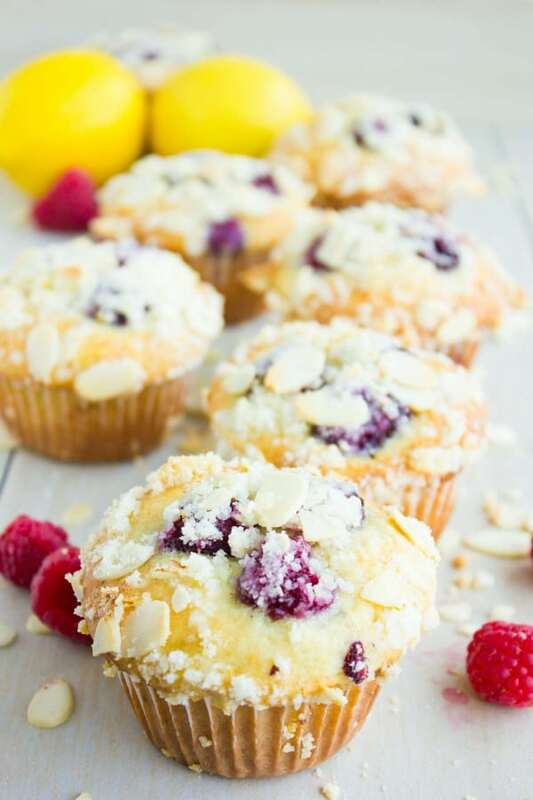 These fresh Lemon Raspberry Almond Crunch Muffins are light, zesty and crunchy! Picture a moist lemon muffin speckled with fresh raspberries, and topped with a sweet buttery almond crunch - a simple muffins recipe you have to try! In a small bowl mix the topping ingredients and set aside. In a medium bowl, mix the flour, baking powder, baking soda and salt. In a separate bowl, mix the sugar, oil, egg, yogurt and lemon zest. Then add in the flour mixture and fold it over until no more streaks of flour appear. 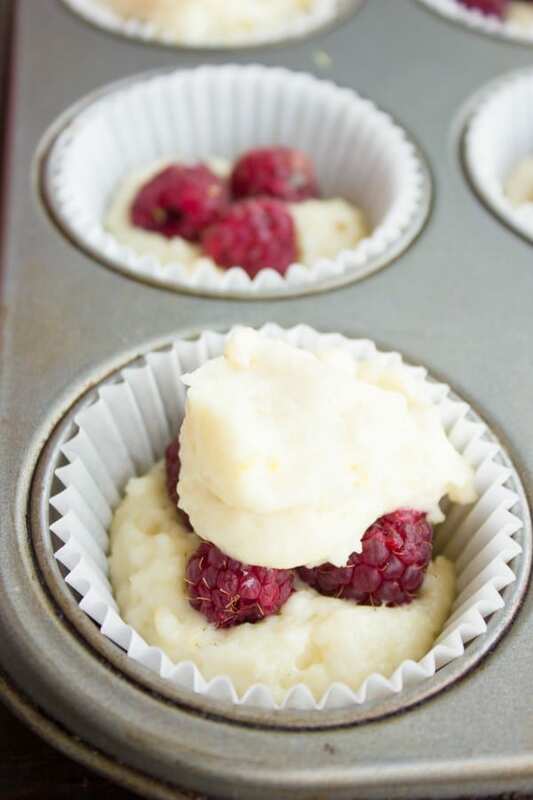 Scoop 2 tablespoons of batter onto the bottom of each paper-lined (or oiled) muffin tin, place about 3-4 raspberries over the batter and cover the raspberries with about another tablespoon of batter, dividing the remaining batter over all the muffins. Top the batter with more raspberries, and sprinkle the topping on top. Press the almond crunch topping gently with your fingers to get them to stick to the batter as best as you can. I like a good crunchy topping, so I doubled it & it was a perfect blend of sweet with the tart raspberries & lemon. I used sour cream in place of yogurt. Easy recipe, great result.